These poems are powerful, immediate, and raw. And they speak of universal pain and disappointment. But also they are about a world that is unique and not so well-known this city of Laredo. As a writer, I am admiring of your perception and your style. You are a wonderful poet. —Lori Carlson Hijuelos New York editor of Cool Salsa, Red Hot Salsa and Voices in Third Person. Raquel Sentíes has a direct and honest poetic voice. Her poetry is lyrical without being romantic: it is sensual, ironic, questioning. It speaks to us bi-lingually: in language and in culture. She speaks of growing up and living in a world that is treacherous yet somehow in the end satisfying. There are many moments of truth in these poems which are not always easy to read but yet are always revealing. They are filled with violence, sadness, betrayal, unfulfilled longings, dreams, and of course death. The ghosts who haunt Senties’ house and her mind remind us that we too have something to contribute to these hauntings. —Prof. Tey Diana Rebolledo, Modern Languages, Univ. of New Mexico and well known literary critic; author of Infinite Divisions and Women Singing in the Snow. Valle-Sentíes is our coyote through these vibrant, often private poems, our guide over the border separating the living and the dead, the bought and the sold, history and her stories. She crosses readers through a landscape of violence, where the dead refuse to stay put, where chisme is truth, and where both falling and the fallen are blessed with an unsettling grace. Her book is eclectic and powerful, charged with the lives of all those who call the border home. Sentíes’ first hand experiences in Laredo and its people’s customs are palpable throughout her sometimes funny, sometimes sad but bold verses. It’s written in layman’s terms, which many of us Hispanics can relate to the caló. —–Vilma Maldonado, book reviewer for the McAllen Monitor. Sentíes is an accomplished poet who allows readers to feel as if they’re sneaking a peek into her diary. This book is a must read for people who have an interest in life on the border. The Ones Santa Anna Sold is an enchanting immersion into the world of borderlands Laredo, where Raquel Valle-Sentíes captures the taste, the emotion, and the irony of a world between worlds, between nations, between cultures, and often, pineapple and chile, the scent of jasmine and desert nopal, the beauty and harshness of Laredo’s streets and skies, and a sense of the magic and the bittersweet reality of our contemporary world, where the good, the bad, and the ugly co-exist along both sides of a murky borderland river. A magical experience! —–Dr. Carmen Tafolla, Poet Laureate of San Antonio, Texas; author of Sonnets to Human Beings and The Holy Tortilla and a Pot of Beans. 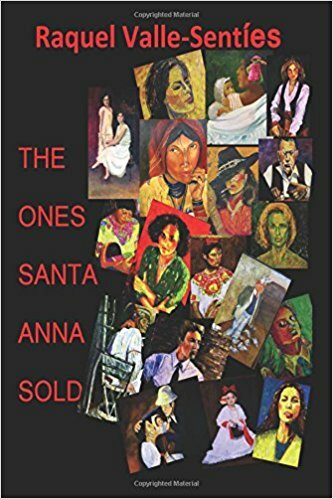 Her poetry has been published in the U.S., Mexico, and India in numerous anthologies like Floricanto Sí, Penguin Putnam Inc.; Red Hot Salsa, Henry Holt & Co.; Voices in First Person, Atheneum Books; Ventana Abierta, & Cruzando Puentes, University of California; Puentes, Texas A&M University; Yapichantra, Bijoygarh, Kolkata, India; Cantar de Espejos, UNAM, México D.F. and Fuentes textbooks for Spanish students as well as literary magazines such as The Americas Review, Arte Publico Press; Saguaro, Tucson, Arizona; and Weber Studies, Ogden, Utah. Her first collection of poetry “Soy Como Soy y Que,” published in 1996 and 1997, won the international Premio de Literatura José Fuentes Mares in Letras Chicanas awarded by the Universidad Autonoma de Ciudad Juarez, Mexico.